Vom 15.06.2017 bis zum 16.06.2017 wurden 24 Knowledgebase Artikel veröffentlicht. Titel: Computer-based Global Policy Objects (GPOs) that require a reboot to take effect are not applied on instant clones. In the vSAN performance diagnostics, you see this error: vSAN is experiencing congestion in one or more disk groups. Open Virtualization Format (OVF) or Open Virtualization Appliances (OVA) of EFI (Unified Extensible Firmware Interface) Shell based Linux virtual machines fail to boot after being deployed to new virtual machines. Before loading the EFI Shell as a fallback option, the virtual machine console shows a boot failure error message similar to:Attempting to start up from: EFI SCSI Hard Drive… unsuccessful. This article provides information on using the sizing guidelines for vRealize Operations Manager 6.6 to determine the configurations used during installation. This article provides steps to obtain diagnostic information to enable support on vRealize Network Insight. VMware Technical Support routinely requests diagnostic information from you when a support request is handled. This diagnostic information contains product specific logs, configuration files, and data appropriate to the situation. 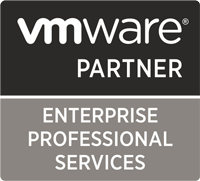 For more information, see VMware vRealize Network Insight Information. In the vSAN performance diagnostics, you see this message: The outstanding IOs for the benchmark might not be optimal to achieve the desired goal. This article provides information on using the sizing guidelines for vRealize Operations Manager 6.5 to determine the configurations used during installation. Horizon Client for Android is not compatible with Samsung Chromebook Pro model XE510C24. For example, double-clicking does not work in a remote desktop and the client stops responding when you enable the save password or smart card features. If the Horizon Client for Linux is installed with the USB component, but the Register and start installed service(s) after the installation is not selected at the last step of the Horizon Client bundle installation, the USB daemon is not started. As a result, when a remote desktop session is disconnected, the Horizon Client for Linux crashes. Some Computer-based GPOs are processed at Windows startup. With instant clones, clones are forked from a quiesced internal VM (master VM) in a running state, and never go through a power on operation. Therefore, computer based policies that requite reboot are never applied. Hewlett-Packard has identified an issue that may occur when updating the configuration of a ProLiant server running HP Integrated VMware ESX Server 3i on certain USB Keys. Configuration settings are lost upon rebooting supported ProLiant servers running VMware ESX 3i Server because there is not sufficient time during shutdown to write all configuration data to the affected USB Key. On rare occasions, the server may not boot properly due to a hardware issue related to the USB key. You can encounter this problem when vSAN network experiences problems that impact accessibility of the VM. While the VM home directory is inaccessible, the ESXi host cannot read the user given VM name from VM configuration. As a result, the ESXi host generates a name based on the previously cached VM path. When vSAN network recovers, the VM name is recovered automatically in most cases. However, in certain cases, the name cannot be recovered. Client Drive Redirection (CDR) does not work when the View Agent is running on Windows 10 Creators Update (version 1703) in either of the following cases: View Agent version is earlier than 7.2.View Agent version is 7.2 and the VM/machine has 32GB of memory or more.